One of the best products out there. Love how this feels going on. Not oily or greasy like other sunscreens out there. Plus the smell is amazing. I just recently had the chance to try the shampoo, conditioner as well as oil serum. Let me just say I love how it makes my hair feel. 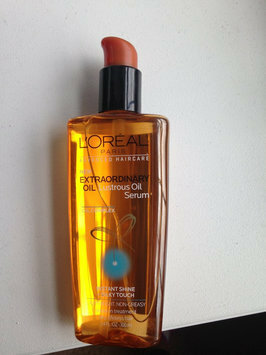 I use it everyday and it never leaves my hair with a oily residue. It goes on easy and a little bit goes a long way. It is recently priced and one of the best products I have found in a while!